New. 2017. Main. Paperback......We ship daily from our Bookshop. New. 0571336027 Brand New Book, Express delivery ( 5-8 days ), customer satisfaction Guranted. New. Trade paperback (UK). 592 p.
Fine. 100% Money Back Guarantee. Brand New, Perfect Condition. We offer expedited shipping to all US locations. Over 3, 000, 000 happy customers. Trade paperback (UK). 592 p.
I loved and loved and loved this. 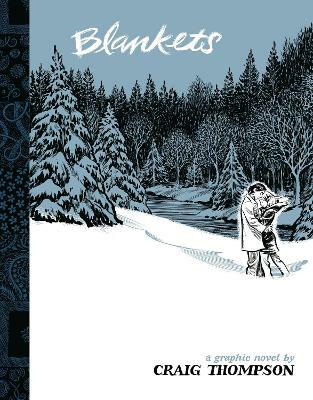 The beautiful art, especially the depictions of the girlfriend and the main character in various stages of tasteful undress, and the story that anyone should relate to, and even the ending, which kinda stung, but was as true as anything I've read. Lovely is what this is. I'll buy everything this guy writes from now on. The first graphic novel I have read, it was recommended by a friend. Although I was intimidated by the size (582 pages) I became so involved in this beautiful story of love & friendship, that I read the whole book in one night & then flipped back to the cover & started again. The story flows flawlessly & the illustrations are so unique & can be so poignant, that I find myself spending 5 minutes on one page, just to take in the entire drawing, even when there are no words on the page. After reading this, I became very interested in Craig Thompson's other works & now, I have all of his books, all of which I have read multiple times. This book is one of a kind, giving the reader a personal look into the life of one man & his family & friends. I really enjoyed the honest portrayal of what it is like to grow up with a brother. There is so much to say about this book because it covers so much bout life. This is definitely a book that should make your "Books to read before I die" list. You will become so wrapped up in the story & drawings, you forget it is a book. It takes you on a journey & doesn't let you go. Craig Thompson should be on everyones bookshelf.